The 26-year-old, Deejay Don Zee whose real name is Dwayne Benjamin, has been a professional entertainer for two years. He has, however, been writing songs since he was in fifth grade at Eltham Park Primary School. DEEJAY Don Zee’s new single, Love You Baby, is on the Sweet Escape ‘riddim’ from Yard Style Entertainment. His parents had different musical tastes; his mother sang on the church choir, while his father operated the Sky Limit sound system. It was while going to dances with his father that he developed a passion for music and began entering talent competitions while at Jonathan Grant High School. 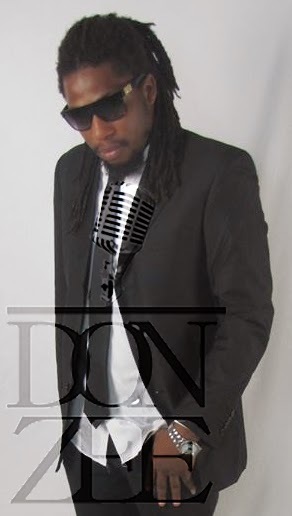 His older brother, bassist Damion ‘Star-D’ Benjamin, who is the C.E.O of Star-D label which has produced most of Don Zee’s songs, including Mek Di Money, Reggae Rock, Money Problem and Paradise. “I am bringing positivity, everything from my heart, to soothe and heal the minds of the broken ones,” said the Clarendon-born artiste. His debut album, Ruffneck Raggamuffin, is due for release this month April 2015.